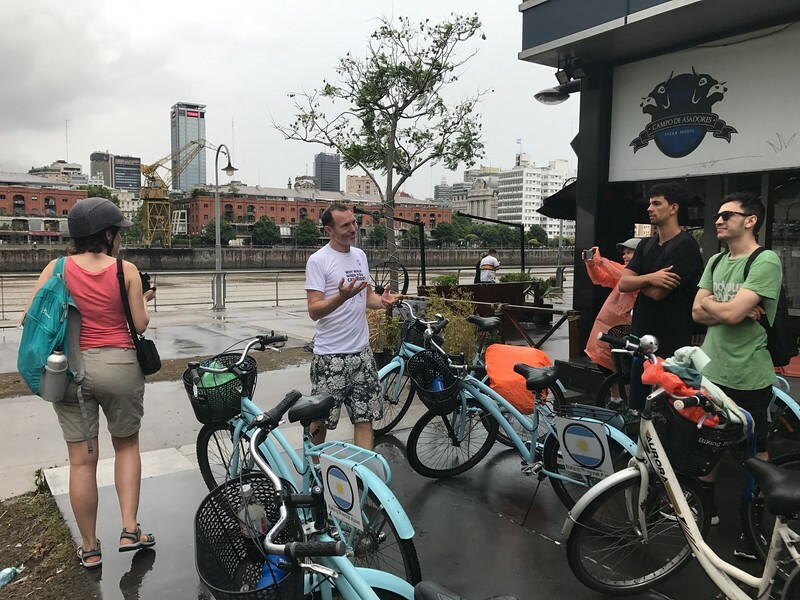 Day 3: Richard is giving us the low-down on the area Puerto Madero. Businessmen and political groups installed large cranes and big tie-offs for shipping. That gamble didn't pan out, but there area is nice to visit with wide sidewalks and cafes.